This is an user-friendly list of tools to protect user's internet privacy for Ubuntu users. 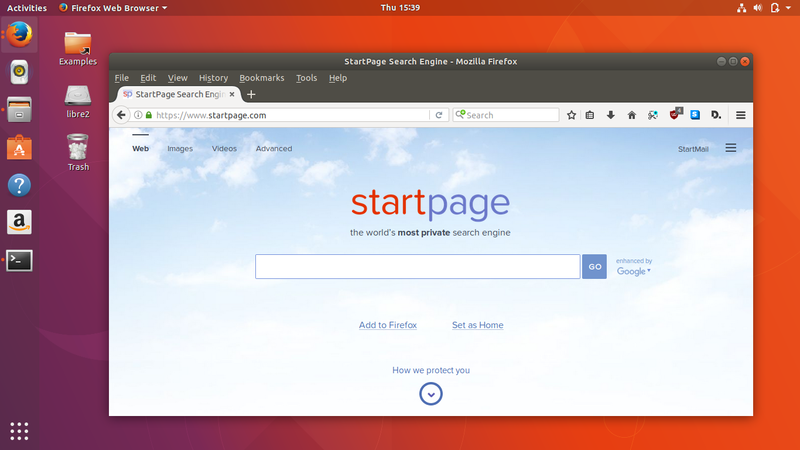 The tools including search engine (StartPagec.com), add-ons (HTTPS Everywhere, Disconnect), and programs (DNSCrypt Proxy, OpenVPN) that are easy for beginners to install on Ubuntu. This list introduces the importance of privacy for all of you (yes, please read PrivacyTools.io) and that protecting your privacy is not difficult. This list is kept short so you can learn one by one and exercise them on many computers you have. I wish this helps you a lot! Why not Google? Because Google tracks you in very bad manners (well explained in Don't Track Us website). Why not DuckDuckGo? 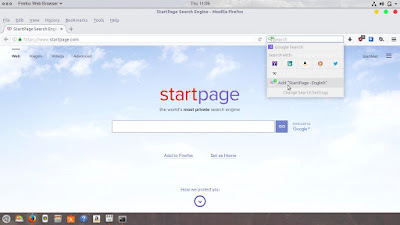 Because StartPage gives you Google's result (not Yahoo! 's) you love. Ultimately, StartPage gives you web proxy for each result, while DDG doesn't (at least for now). Read more in StartPage's explanation. In Firefox, visit the website: https://www.startpage.com. See the "magnifier+" icon at Search box, at toolbar. 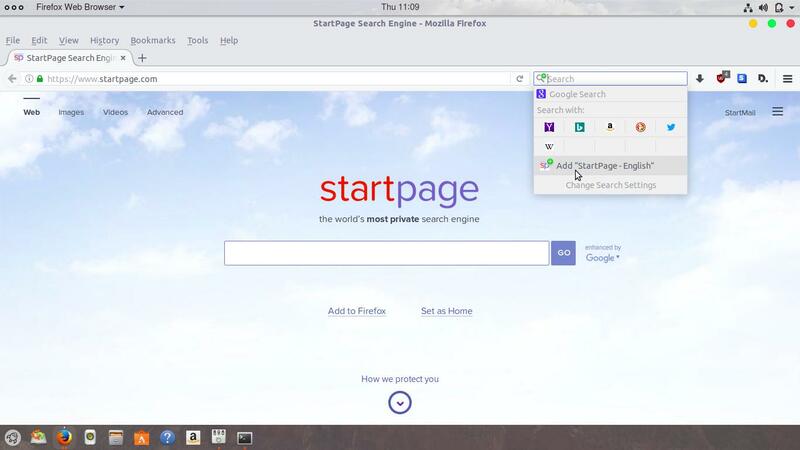 Click magnifier+ icon > click "Add StartPage English" > now StartPage added as one of your search engines. Click again "magnifier" icon > click "Change Search Settings" > change the selection from Google to StartPage. Now all your search will go to StartPage. 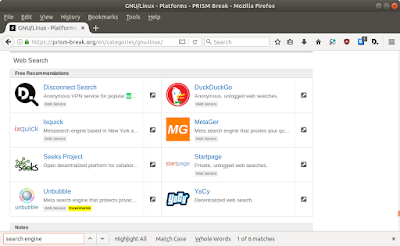 Note: there are another privacy-respecting search engines such as MetaGer.de and also Searx.me (both free software, you can install them on your servers). But still, I recommend StartPage.com the most for the sake of user-friendliness. The program, DNSCrypt Proxy, is available for Ubuntu, with a purpose to encrypt all DNS communications between you and the internet. This means, in simplest sense, your browsing cannot be blocked, censored, or intercepted. Encrypting the DNS is very important for internet privacy this day because you find internet spying and blocking everywhere almost in every country. After installing DNSCrypt proxy, automatically without any manual configuration, you can surf the web without worry being blocked. 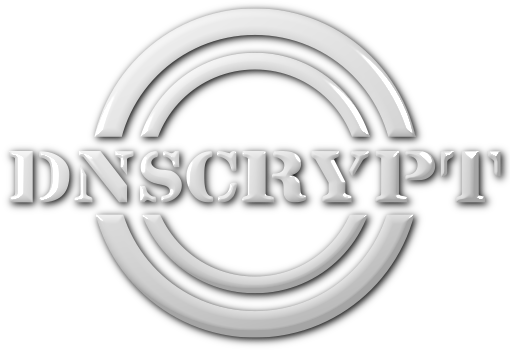 For 17.10, follow this DNScrypt Installation Guide. Disconnect is a browser add-on to disconnect all internet trackers in all websites. The benefit for you are 3: 1) you are safe from invisible trackers 2) you save much more internet bandwidth 3) you get increased browsing speed + computer performance. You can install it on Firefox. Why you need Disconnect? Because today, for example, when you visit Facebook you don't visit one single "page", but actually dozens of "pages" ("trackers") that are behind the Facebook page. What you want is the main page, not the trackers, but they force you to visit and download them. Most "modern" websites now implement these "trackers" systems. This violates you privacy, eats up your bandwidth, and slow down your computer performance. The point is here: Disconnect add-on disconnects you from all of those trackers. HTTPS Everywhere is browser add-on to force all connections in and behind all website you visit to use HTTPS (HTTP Secure), so your connections to that website, are encrypted. Why Everywhere? Because visiting a website is not done in one single connection, but often in many, for example visiting blogger.com is actually visiting the web itself plus 'the invisible services pages' behind it. Without Everywhere, all your connections are not encrypted and that's dangerous. Or if you deliberately type "https://" for main page, you got encryption only for the main page, but not the invisible connections behind it. Everywhere add-on encrypts all connections in and behind the page you visit. Go to menu Tools > Add-ons. Go to "Extensions" page at right-panel selections. Find "https everywhere" using search box there. The result "HTTPS Everywhere" showing. No manual configuration needed = just surf. There is VPN technology, and there is OpenVPN software. The purpose of VPN technology is for encrypting whole your computer internet connections, not only for your browser, but also for all applications. However, OpenVPN is one among many programs that is capable to connect you to a VPN service. You can consider to buy a privacy-respecting and freedom-respecting paid VPN services as recommended at PrivacyTools.io. Why using OpenVPN to connect to a certain VPN service? Because you use WiFi a lot and basically all computer connections to internet are not encrypted (so, dangerous) so you need to encrypt them all. You might have heard about KRACK Vulnerability that proved all WiFis on the world are crackable, using WiFi without encryption means your internet transactions and communications are easy to be stolen. OpenVPN program makes those encryptions extremely simple and automatic for you. Follow this tutorial to connect to a service by example. 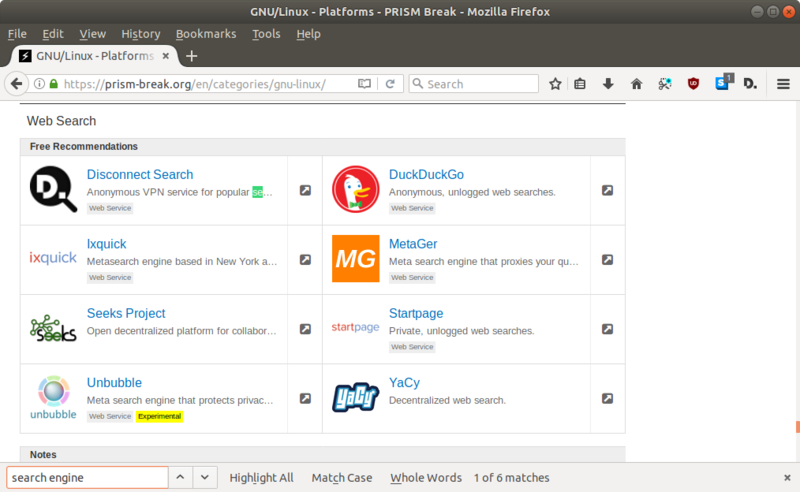 Modified version of Firefox by The GNU Project, serving the main purpose for internet privacy. IceCat comes with built-in HTTPS Everywhere, SpyBlock, and LibreJS, add-ons to ensure your maximum internet privacy. If you want to know more about IceCat, read FSF's comparison towards Safari browser (very short and easy to understand). I've used IceCat on my Trisquel OS and Android and it's very user-friendly and fast (okay, I'm impressed how fast IceCat 45 is running on my old Sony Xperia ST25i) (oh, one more: IceCat is compatible with Firefox add-ons). To install GNU IceCat into Ubuntu, don't use apt-get, but just download the binary file at GNU Project's FTP, i.e. the latest now IceCat v52. Yes, this article is intended for beginners so it's truly far from complete. I don't mention GNU GPG and Thunderbird+Enigmail here (to encrypt emails, so Google cannot read your Gmail mails), and also I don't mention Kontalk (decentralized, privacy-respecting Telegram/WhatsApp/Signal replacement), and also there are still many aspects you may need for internet privacy. I suggest you to do further research in privacy and software freedom. My recommendation --if you are new-- is: read FSFE article about Privacy vs Crypto (very beginner-friendly and well-explained). First, PRISM Break website (https://prism-break.org). Third, Trisquel GNU/Linux OS especially and another 100% libre distros (mainly Parabola GNU/Linux). They made me think that I should consider to avoid Google's services, also, I need to care about encrypting my internet connections and look for Gmail alternatives. If you are interested, I suggest you to try Trisquel, run its web browser, and you won't find Google Search there (it uses DuckDuckGo by default). You will find the same at Parabola GNU/Linux, and also the newest of them (Hyperbola and Uruk GNU/Linux). They are all respect your privacy at maximum rate. I say thanks to all those projects' leaders and contributors.